The Rolex Vintage Military Submariner from 1972 is one of the most sought after vintage Rolex pieces in the world of addictive Rolex collectors. Originally commissioned by the British Ministry of Defence, the Military Submariner includes fixed bars to reduce weight and to optimize wearability with the G10 Nato straps. 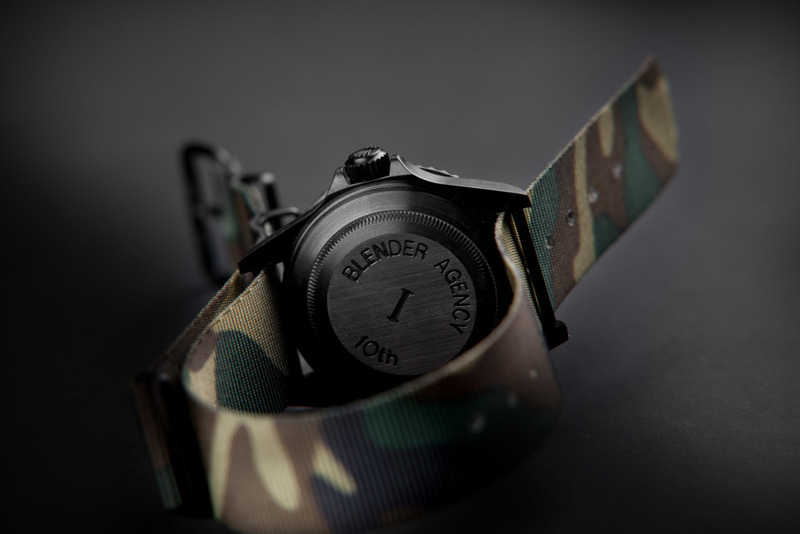 In relation to the 10th anniversary of Blender Agency, a custom Military Submariner was commissioned from Prohunter with specs and modifications selected from company founders and avid Rolex collectors Magnus Thorud and Kyrre Alver. In addition to the standard black and green Prohunter engraved G10 straps, the Blender Agency x Prohunter Military Submariner comes with custom Prohunter engraved camouflage G10 strap. 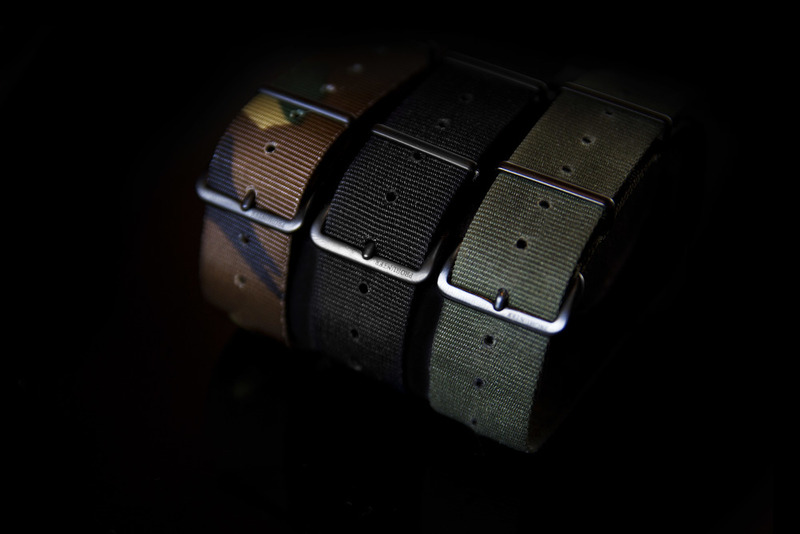 Limited to 10 pieces, each watch comes with individually engraved casebacks from 1 to 10, and "Blender Agency 10th".